A regional daily editor has been made redundant weeks after new owners took over his title. Newsquest has announced James Higgins, editor of Barrow-based daily The Mail and group editor at the CN Group, has left the business with immediate effect. At the same time, Chris Story and Vanessa Sims have been promoted from associate editor to editor at their respective titles within the group. Chris has been appointed editor of Carlisle daily the News & Star, and weekly title the Cumberland News, with immediate effect, while Vanessa takes on the same role at The Mail. The CN Group was taken over by Newsquest in March, and a voluntary redundancy scheme has since been opened to staff working on its titles. However, the company has previously indicated it intends to invest in reporting staff as well as upgrading CN’s technological infrastructure. Said James: “It has been a huge privilege to work with a team of fantastically dedicated people over the last eight years. Mail journalist Amy Fenton today posted a tribute to James on Twitter, saying: “Genuinely devastated to be told our group editor, James Higgins, has been made redundant. In a statement to staff Jonathan Lee, managing director at CN Group, said: “As you are all aware, we need to operate in a more efficient manner if we are to return CN Group to a secure financial footing. James joined The Mail as deputy editor in 2010 from the Bolton News, where he had been assistant editor, and has also worked for the Blackpool Gazette, Lancashire Evening Post and Oldham Advertiser. He was promoted to its editorship in 2014, and was last year made group editor for the CN Group. Earlier in 2017 he had overseen a change of name at the newspaper, which was previously known as the North West Evening Mail. During his time with CN Group, James and his team have won a number of industry awards. CN Group’s news brands are shortlisted for 13 accolades at this year’s Regional Press Awards. 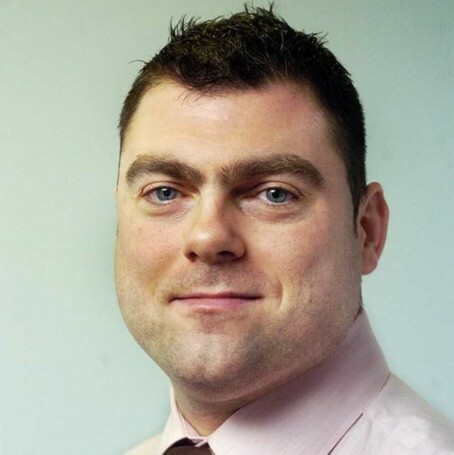 Chris began his career at the Dumfriesshire Newspaper Group in 1999, and has worked for CN in Carlisle since 2004 in roles including senior reporter, deputy news editor and head of content. Vanessa began her career at the Accringotn Observer in 2007 and later moved to the Lancashire Telegraph, where she was crime reporter. She spent seven months at Blackpool daily The Gazette, before returning to the Telegraph as deputy news editor in 2014. Vanessa later became news editor before moving to The Mail in February this year. Sorry to hear this, James. It’s a brutal business. The ongoing policy of cost cutting by culling of CN staff post NQ takeover continues, again with no explanation as to why he’s left with immediate effect, so much for their talk of investing in journalism. What does a newspaper editor have in it common with a Spitfire pilot?